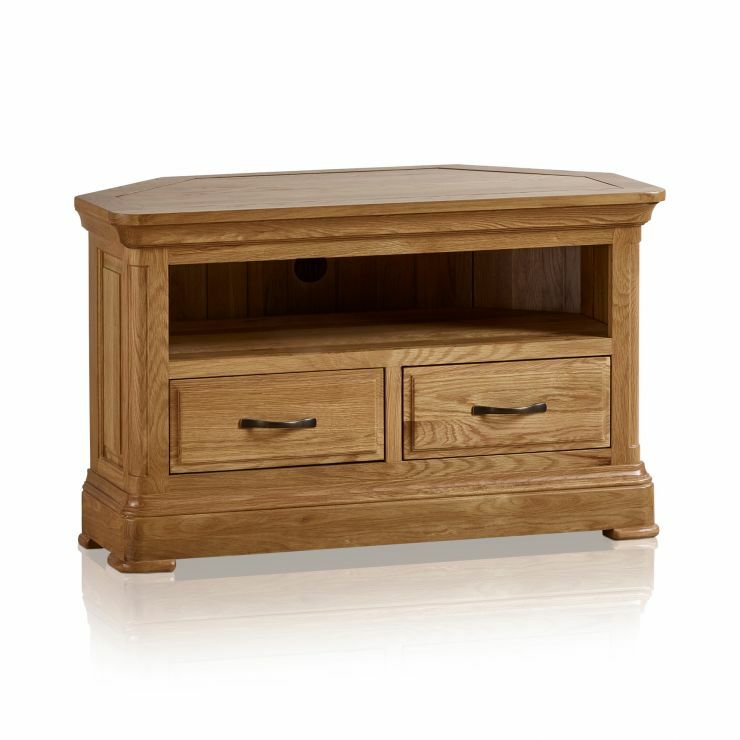 Part of our Canterbury range, this corner TV unit is a stunning classically styled piece made from naturally finished solid oak. 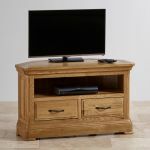 Designed to work in even the smallest of living rooms, it offers plenty of storage thanks to its drawers and display shelves, and a large top perfect for your television. 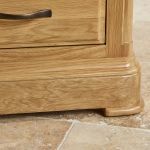 We never use inferior materials in our products, so solid oak is even used in the drawer bases, backs, and runners. 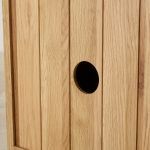 The drawers are also finished with real dovetail joints for added durability. 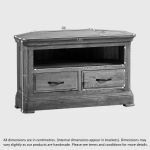 The TV unit features traditional furniture design details, including classically flared cornices and a stunning deep pedestal base. 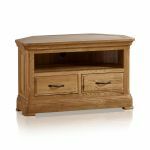 The drawers are finished with antiqued dark metal handles which perfectly contrast the bright modern natural oak finish. 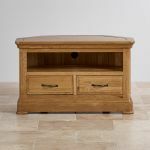 The display shelf has convenient exit holes at the back, so that you can keep visual clutter of cables at a minimum in your living room. 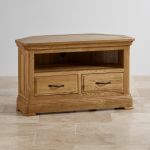 Don't forget to browse our full Canterbury collection to complete your living room furniture set!